Hey budding artists…If you plan on using design software in the long term, there is one tool you may need to really hone your techniques and that is a drawing tablet. Let’s face it, if you are going to go for professional looking work, your mouse can only take you so far. Can I draw with my mouse? Of course. But can I do much better taking advantage of this helpful tool? You bet. Non-geometric, amorphous, and unique shapes that make up vector illustration need to be handled with precision. If you’re somewhat of a newbie there are some things you may want to know about first. What’s the best graphics tablet for a beginner? How much do I have to spend to obtain one that will do the things I need to do (but without some of the frills)? Let’s take a look at that now. Do I see myself doing this long-term? Am I willing to put in the time commitment to learn? Do I plan on using this as a hobby, or branch out into something more professional? The tablets I see out there look really good, but some of them are so pricey…how to I find a good deal on one when I’m just trying to get started? Now only you can answer the first two questions, but to the third one…yes! You can find a great deal on one; so let’s get into the nitty-gritty of the best graphics tablets for drawing out there for those of you ready to dip your toe in the water. starting with my own experiences. At some point he had misplaced it and ended up purchasing the Tooya Pro in 2012. 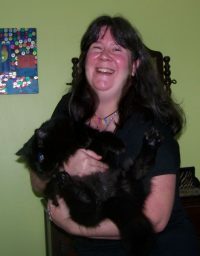 But guess who ended up doing the lion’s share of use – yep, yours truly! The Tooya includes an ergonomically designed stylus pen, which requires 1 triple “A” battery -that’s the “really little” not the “little” ones LOL. The pen tips are also replaceable, 2-3 extras are also included. Drawing area is 10″ (across) by 6.25″ (long). Great for working under a wide screen monitor with no aspect ratio issues. Workspace pad is 5 mm thick, so it’s very streamlined. Mac and Windows compatibility; specifically versions XP/Vista/7, Intel based, 10.4 and later. Although I usually use mine for mock-ups, drawings that require fine-tuned detail, the Tooya Pro tablet also has office task functionality to boot. Since it pretty much replaces the standard mouse as the point of control, it can be used for freehand writing with aplomb. The pad is USB port operative; a blue LED light tells you it’s in operation mode. The stylus rests in a base and has a built-in “sleep mode” it goes into after 3 minutes of idleness. Like all software, tools and accessories out there, the Tooya pro tablet is not without its drawbacks and one of these may be system compatibility. I would not recommend it to users of Windows 8 and beyond and Linux users. If this is the case you may want to consider seeking a model released a little later. It’s almost a total plug and play operation, but you will need to install the program that enables the user, you-to modify the settings, including pen tip pressure-a very important thing to understand as I remember when I was first trying to master the stylus on my own. That’s when I finally realized that’s why I had sub-menus dancing around I didn’t attempt. All I have to do is lightly tap a tool from the side panel that I need to use and boom, I can go from the Shape Tool to the Bezier on a dime. The Tooya Pro tablet is great for image manipulation work, tracing, vector freehand work and also includes a bonus Photoshop Elements 7.0 program. The other tablet we own is a Wacom Graphire 3 (model no CTE-430) I like how small it is ( a little thicker than my Tooya.) Glad to have recovered it, but the corresponding stylus pen is somehow misplaced. It’s nicely sized (approximate measurements are 8″ by 8″ and 0.25″ thick) with a 4 by 5 center layout. The stylus goes into a neat little integrated opening at the top instead of a standalone base. the pen does not use batteries. It is designed so that it integrates with the program. You can slide photographs under the clear part to personalize it a little. Even though this model goes back to about 2004 Amazon still keeps the Graphire in stock. There is also a blue or silver version, and it includes a wireless mouse too! ♥All this info I obtained when trying to hunt down a new replacement pen, lol. There’s a lot of high approval ratings for the Wacom series in general but if you’re looking for a more up to date Wacom than the Graphire, there are some other options that may fit the bill. 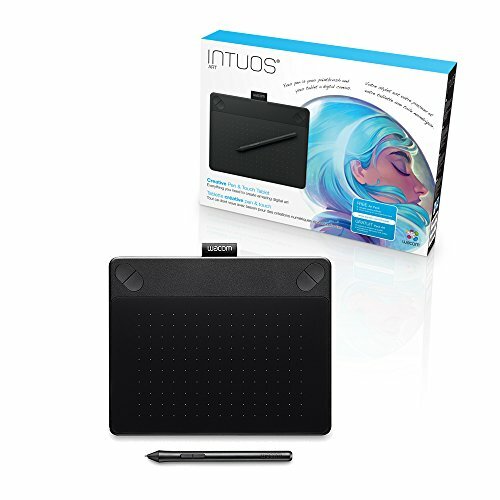 The consensus of opinion is that the Intuos and the Bamboo series are deemed very good drawing tablets for beginners; being reliable, versatile, a nice size -not too big, and only a few buttons to master – and reasonably priced. So if you’re serious about learning to draw, you need a tablet that’s gonna work as hard as you do,and provide reliable performance. The other good news is that these tablets are made for non-art, office program functions as well, so if you ever want to take a break in between learning to draw, you can get some good practice using it in place of a mouse to do basic functions like signing your name and tracing pictures. Some users find that they can practically ditch their mouse altogether once they get the hang of it and really enjoy the pen better! The best news is that Amazon carries a wide selection and there are various pricing options to check out…perhaps easier than the brand name’s respective websites. But there you have it, in terms of the best drawing tablets for beginners, I’m pretty much sold on my Tooya Pro, and Wacom is definitely the one other brand I would consider! I so admire creative folks like you! And now with the right tools you can take your trade to the next level. I am not very artistic but I would LOVE to learn to draw. 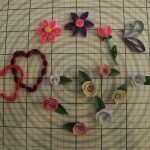 Crafting are excellent stress relievers and drawing has got to rank high on the list!